Attitudes and expectations towards medical knowledge and medical practice standards influence and determine the position of health practitioners and the development of medicine. While describing the basic characteristics of the Ottoman Turkish medicine and medical practice through their scientific approach and standards, the following article by Professor Nil Sari aims at putting forth the priorities of the Ottoman Turkish medicine, by means of primary sources such as archive documents and medical manuscripts. The virtuous physician avoids experimentation on patients: "Consider the rules of medicine"
Figure 1: The head physician feeling the pulse of the wounded Sultan Murad I. (Seyyid Lokman: Hünernâme, 1389, Topkapi Palace Museum Library, MS H. 1523, folio 94 a). Attitudes and expectations towards medical knowledge and medical practice standards influence and determine the position of health practitioners and the development of medicine. While describing the basic characteristics of the Ottoman Turkish medicine and medical practice through their scientific approach and standards, we will try in this article to put forth the priorities of the Ottoman Turkish medicine, by means of primary sources such as archive documents and medical manuscripts. What were the priorities in traditional Ottoman Turkish medical practice? Did the expectations of either the Ottoman physicians or the administrators comprise the development of medical science? "A physician is called a master (hâzik) and worthy of being called a sage (hakîm); Only if he is learned in many sciences. (He) Must share information in every field above all, philosophy (hikmah) and astronomy (hay'a) is needed." One who acquired all the existing knowledge in his field and acquired skill and reached efficiency and one who reached perfection in his profession, that is one who was a master (hâzik) could only be called wise and learned (hakîm/bilge) in his art. To what degree did the Ottoman physician dedicate himself to be a sage? In order to answer these questions we have to discuss the meanings of the concepts of wisdom and being a wise physician. 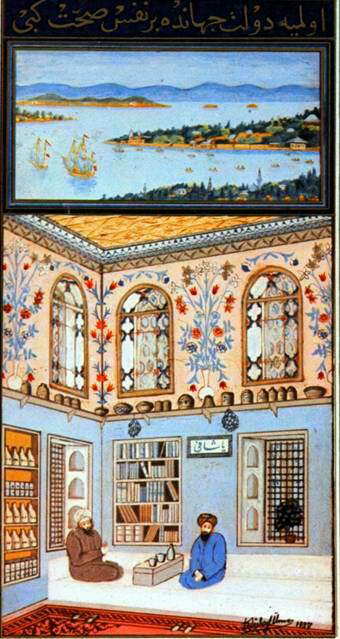 Figure 2: An Ottoman physician's office. (Miniature painting by Prof. Dr. A. S. Ünver, Gülbin Mesara collection). Wisdom formed the basis of not only philosophy and religion, but also of science; and the ultimate aim of science was also to reach wisdom. That is why for a long time biology and physics were termed as the wisdom of nature (hikmat-i tabiîyye). Wisdom (also called hikmah) was to be aware of the most sublime and the final reason of existence. Quest for and reaching the ultimate and the most perfect principles would lead man to sagacity. Sagacity itself was to look for the truth through reason and logic. Searching for the said ideal, aiming to be a man of high morals, might lead him to perfection. In what way being a sage might have influenced the development of medicine in the new and the modern ages? In spite of the developed institutions and the detailed bureaucracy of the Ottoman State, physicians continued to be within the frame of a wise physician and were not able to develop a scientist's meditating mind of the New Age until the second half of the 19th century. The reasons of this reality, in addition to the characteristics of the Ottoman medicine and its practitioner and the hindrance to reach the needed knowledge enough due to the language problem, were based on the main goal of medical practice and the priorities related with it, found in the description of being a virtuous physician in the Ottoman Turkish texts. Stepping over the senses of perception, it was possible to reach the real science, that is, the most respected science aiming to acquire the basic reality through reasoning. As to the way leading to information, it was acquired by arguments that proved the validity of the propositions. Current knowledge was also based on the evidence reached by reasoning; that is, logic was used as a means in defending the truth of the knowledge. Comprehension necessitated proof by logical reasoning, for which reference to common and general features and syllogism were adopted. One could apprehend a certain fact by reasoning. Knowledge was envisioned in mind and if one was not doubtful of his knowledge of a certain being, this reality was ascertained in mind; thus in order to be able to understand one needed to contemplate. Wisdom was inevitable for perfection in all fields of knowledge. Knowledge is acquired in different ways which have been used throughout history. Man has reached different information by means of observation, experience, logic and intuition; but, reaching knowledge systematically, that is, using controlled research methods, thus proving that the information gained is correct or wrong, that is, reaching information by means of scientific methods developed in Europe, which started to be used in different periods in different countries. Prior to the development of the positive science concept, Ottoman Turkish physicians used to explain the causes and results of clinical practices in accordance within the limits of the traditional rules based on the humoral theory in a regular and consistent way. Physicians criticized one another within the framework of the basic elements of the humoral theory, on which the philosophy constituting the basis of this theoretical information was built. Thus, new thesis not opposing the tradition were put forward. Marginal inscriptions in medical manuscripts (hashiya), commentaries composed about the medical books written earlier (sharh); criticisms of former writers inserted into lines as, "I believe it is different, not so"; "the said plant is hot in the second degree, not in the first"; "the said disease is not due to the yellow, but to the black bile" wereall based on the evaluation of what they saw and experienced, using logic within the framework of their knowledge about humors and temperaments. For example, the story about Kaysunizade's argument that Musa bin Hamon, a Jewish palace physician administering an adverse drug might change the temperament of the Sultan, thus Kaysunizade demanded that they should be examined at the presence of other physicians is a classic example of the concept of science of the period, because Kaysunizade attempts to prove his assumption by means of "reasoning and information quoted from known medical books." (Although today also reliable sources are used to support medical decisions, medical literature relies on scientific data, not philosophical arguments). Figure 3: Sultan Bayezid II Hospital (1484) in Adrianople, built by the known architect Hayrettin. The Ottoman Turkish physicians, who continued to utilize the translations and abridged books of the Islamic period till the 19th century, used to develop their knowledge by means of commentaries, marginal notes and compilations of these works. Education aimed to comprehend and interpret the authoritative writers' works to confirm the established rules or to determine which of the different information and evaluation of medical authorities was correct. Radical questioning of the current knowledge was not in question. Yet, the most important factor that started Renaissance in European medicine was the opposition to the authorities and questioning the main sources of the current knowledge. What were the characteristics expected from physicians to have for acquiring knowledge and efficiency? What were the criteria of these characteristics? The qualifications expected from the physician in accordance with the description of a knowledgeable and efficient physician can be found clearly in the criteria of the trust of deeds (wakfiya) of hospitals. According to the trust of deeds of the Ottoman hospitals founded during the 15th and 17th centuries, the most important qualifications required from physicians were experience and mastery. The meaning of what is meant by an experienced physician as a criterion of efficiency is explained in the trust of deeds of Haseki and Atik Valide Hospitals as: "One who develops and strengthens his theoretical knowledge by means of practice and experience; promotes and strengthens the rules and base of his craft by means of observing of some severe cases; informed of his patients' temperaments and acquainted with the relation between drugs and temperaments; thus competent both in theory and practice; enhances his scientific knowledge through effort and experience..."
According to the hospitals' trust of deeds, the primary ability criterion for a physician to be appointed to a hospital was "to be experienced"; however, the meaning of an experienced physician was "to reinforce and strengthen the rules and the base of the medical art", and "to be informed of the rules of medicine and its philosophy." That is, physicians should have reinforced and strengthened the existing rules of medicine and the base of the medical art through their clinical experiences. An experienced physician was supposed to mean one who is experienced both in diagnosing the illness of the patient and successful in applying the four elements/humors theory (anasir-i erbaa, ahlat-i erbaa) in treatment; one expert in determining the temperament of the patient and in determining the drug and its dose that would heal the patient and thus one putting theory into practice; also confirming the basic knowledge of the medical craft through his clinical observations, that is to say, it meant a physician confirming and stabilizing the basic medical information acquired by the preceding medical authorities through his clinical experiences. In studying the parts of the medical books dealing with diagnosis, treatment and prognosis, it is also possible to note the writers' and translators efforts to interpret their personal experiences, that is clinical observations in line with the humoral theory. While problems were based on premises, traditional concepts were used in dealing with new problems. This traditional approach in commenting according to the humoral theory on some obvious new cases which the physician might come across in his professional life meant that the physician missed the opportunity to contribute to medicine. In their books some Ottoman Turkish physicians mention the importance of clinical practice in gaining new experiences. Emir Çelebi, a chief-physician (died in 1648) argues in the preface of his book Al-Mujac al-Tib (1624) that it was "not proper for a writer to repeat the information formerly gained, without any contribution, that is, to take them as they were, but the results of his personal experiences should also be added." As to Abbas Vesim Efendi (died in 1759/60), he suggests in his book titled Dustur al-Wasim fi Al-Tib al-Jadid wa al-Qadim, which deals with traditional and contemporary medicine -as can be inferred from its name too-: "The physician should go to the hospital to visit the patients, because in this way he may come to be informed of many interesting diseases. It is important for the physician to work in hospitals to increase his knowledge and experience, because the physician will come across many diseases formerly unknown". Figure 4: View of the medical school founded by Sultan Süleymanthe Magnificent. Source: Health in the Ottomans, 2 vols. Edited by Coskun Yilmaz, Necdet Yilmaz. Istanbul: Biofarma Ilaç Sanayi ve Ticaret A.S., 2006. The clinical observations that might enable the physician to obtain new knowledge was explained by means of the humoral theory, that is, the relationship between ethiopathogenesis and clinical findings being based on the humoral theory and discussions being limited by the views of the former authorities hindered the way to new information and prevented the development in science, even if it didn't prevent the experience and mastery in the practice of some physicians. Moreover, in his above said book, Abbas Vesim argues that "ancient medical books contain so much useful information which new books lack" and "real science and proper knowledge are the ideas and confirmations expressed by merited men". That is, he stated that real science is learned from authorities. The most important proof of this tradition is the fact that the works of Ibn Sina, who used his comprehensive clinical experience and high wisdom, systematized medical knowledge, consequently reached a high authority in the West and the East for centuries. Until the end of the 17th century, Ibn Sina's Canon was used as a textbook in European universities. We can even assume that medical education was based on the Latin translations of Arabic books and their comments, which we conclude that their numerous reprints throughout Europe between the years of 1425 and 1610 was due to the great need. That is to say, European physicians practiced Ibn Sina's medicine as their Ottoman colleagues in the 17th century did. Yet, in the 16th- and 17th–centuries Europe, while discussions on the works and theories of authorities like Galen and Ibn Sina continued, in the mean time scientists who believed in their own observations, discussions and arguments and the results they reached through their own experiments came out. In the 16th century, "experimentation and the method of comparison"; and in the 17th century "measuring" and "mathematical proof" were added to the traditionally applied methods of observation and description in attaining medical knowledge; and in the course of time, quantitative knowledge began to precede the qualitative knowledge. In the 16th- and 17th-centuries Europe, while the idea of searching for the perfect and absolute was retarded, the idea that knowledge was subject to change continuously and that probability was a fact in an ever existing system had begun to be discussed; and in describing the causes and results, European scholars began to make use of idea, observation, logic, experimentation, measurement and calculation comprehensively. The priority of the question of existence (varlik) that was continuously discussed since the antique ages was transferred to the search of knowledge. From the 19th century on, acquiring all of the rapidly increasing knowledge grew more and more difficult and the wise scholars who embraced all the existing knowledge began to be replaced by specialists in specific fields of knowledge. 7. The virtuous physician avoids experimentation on patients: "Consider the rules of medicine"
Figure 5: A parade of surgeons, on the left side. (Surnâme-i Vehbî,Topkapi Museum Library in Istanbul, III. A. 3593, folio 159b). Traditionally, Ottoman Turkish medical practitioners were unwilling to practice new and unknown methods in the treatment of patients. Ibn Sharif of the 15th century advised that the "physician should not prepare medicine from unknown herbs and should not try to benefit from folk remedies and the experiences of unknown people, except the known and those experienced by oneself." This unwillingness causing conservatism from time to time was an anxiety, even a precaution because of fearing harming the patient. (The responsibility in using the current medical knowledge in treatment is nowadays an important norm of morality and law, too.) It is possible to trace in all kinds of documents the proofs of the said expectation observed carefully in Ottoman medical practice; for example, in the trust of deeds of hospitals and the Süleymaniye Medical Madrasa, in court records of the Muslim judges, in orders for appointments and in medical manuscripts. An example is that, the lecturer (müderris) to be appointed in accordance with the Süleymaniye Medical Madrasa's trust of deed was required to have paid "high effort to learn former physicians' rules of medicine, choosing and facilitating carefully the proper rules of treatment." According to the trust of deed, the lecturer was expected to "transfer medical rules of the former medical authorities of the ancient Greek, Roman and Islamic period (such as Hippocrates, Galen and Ibn Sina), meanwhile simplifying the correct and important rules and methods of medical practice carefully." Nabi, a poet who related the attitudes and expectations of the time in his book Mabhas-i Lazima-i Hikmat-i Tib described the virtuous physician as one who treats his patients in accordance with the principles of the current medicine, protecting patients' sacred lives, being careful and avoiding experimentation on patients. Advising physicians poetically, "Treat in accordance with medical rules. Do not sacrifice people for the sake of experiment", Nabi complains of ignorant physicians who use their patients as a guinea pig and warns the patient addressing his son: "If not necessary do not trouble the body. Do not make use of the body as if it was a guinea pig." It is easy to discern the difficulty in comprehending the differentiation between acquiring experience through treating patients and quackery, in this couplet of Nabi. The poet, who relates the preferable Ottoman values, strictly opposes those who experiment on patients and the practice of those who had not been educated properly and those who ignored the principles of medicine. Patients should be treated by the well known methods in use and the patient must not be sacrificed for experience; the patient himself/herself must be conscious of his/her rights and shouldn't allow the physician to use him/her as a guinea pig; moreover, the patient should look for and reach a successful (usta) physician who would treat in accordance with the principles of medicine. Nabi accentuates with a high insistence in his last couplet, advising his son to have a lifelong healthy body (bünye), as a result there would be no need for a physician. Do not make use of the body as if it was a guinea pig. A primary moral principle followed in this context was "Do Not Harm the Patient". A physician simply aiming treatment would not suffice for contribution to science. Many well-known European physicians continued their researches while practicing their profession. Besides, from start of the Renaissance on, the renovation of various knowledge were carried on along with new ideas in philosophy and reinterpretation of religion. According to Veatch, European people preferred a basically different medical approach as "Homo faber", that is "Man the Maker" controlling nature through tools. According to the philosophy reflecting an interpretation of the Holy Bible, "The human being will dominate the world and the nature and have it submit to man." In the late 16th century, Bacon (1561-1626) viewed science as a most profitable tool for understanding and overruling nature. Through this philosophy creating miracles in medicine, suffering of man was treated, the life expectation was doubled, illness formerly believed to be the inevitable effect of an evil spirit is now being cured by means of an antibiotic. Yet, the medical technology has not only a power of healing patients, but also the power of destroying, too. In fact, illnesses and infirmities, even deaths caused by physicians, that is iatrogenic illnesses have continued so far. In order to develop scientific inclination philosophical comprehension must also be prepared along with it. The philosophy of values which is formed in accordance with individuals' and society's perception of nature will determine the role of scientific research in obtaining information. Man's concept of life is one of the most important factors that describes what he believes to be valuable. The interaction between man and nature determines the cultures' main direction. Which value should the physician prefer in his relation with nature? Should the physician behave as one making use of technical tools invented by mankind's intellect to master nature in order to help his patient get rid of his suffering; or should act as a servant of nature through observing the process of nature? In case one of the contradictory values is preferred, the other will be endangered. Traditional justice that determines man's interaction with nature, in accordance with his/her concept of life influenced Ottoman Turkish medical practice, as it did in other fields. As it has been often emphasized in medical manuscripts, the medical doctor expected to progress as a sage was to serve the Creator, the healer. 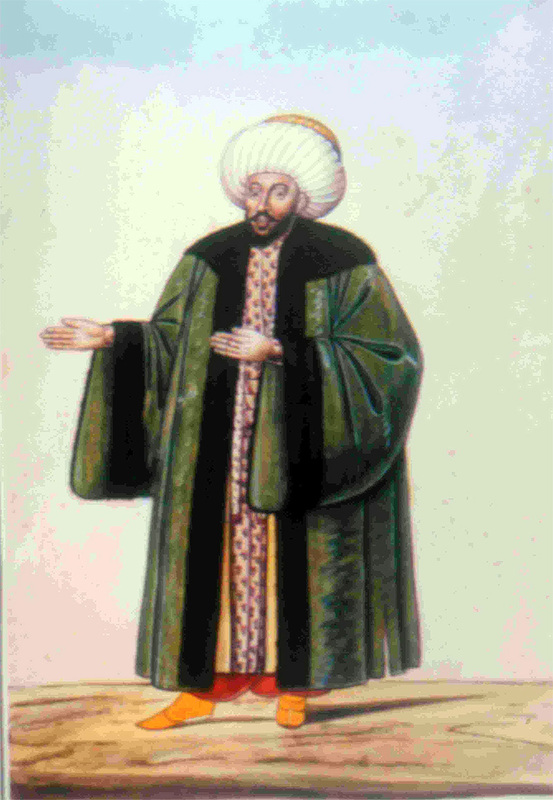 The Ottoman physician, who followed Hippocratic and Islamic medicine, paid a great importance to the healing power of nature; based his practice on the equilibrium of the four humors; trusted to the idea of treatment by re-establishing the balance of the humors, contributing to the natural healing power of the body. Man, the most honourable of all created beings (asraf makhlûk) should be treated with due care. In Ottoman medical practice it was advised to pay importance to the nature's healing power as much as possible, abstain complicated treatments and practice medicine proper to the temperament of the patient. As a consequence of this opinion, the ethical principle nonmaleficence was regarded to be more important than the probability of providing beneficence. The current medical rules were to be applied properly in order to protect the patient from being harmed. Practicing unknown methods were not considered to be right, because it wouldn't be fair for the patient. This attitude which might hinder the way to new approaches attracts attention as a factor blocking attempts for developing medicine. Figure 6: Treatment of dislocated hip joint in Cerrâhiyetü'l Hâniye by Serafeddin Sabuncuoglu. The illustration is published by kind permission of Nil Sari and Ulker Erke. Source: 38th International Congress on History of Medicine, Turkish Medical History Through Miniature Pictures Exhibition, Istanbul 2002. While the Ottoman law and moral rules protected patients against being harmed by new medical treatments and operations, the rule of not ignoring the current medical principles oriented medical practitioners to be cautious and careful against innovations. Practices not aiming treatment were regarded to be against the professional ethics of the Ottoman Turkish medical practitioner. However, the belief that remedy to every disease except death could be found in nature and that nature has a healing property led to the priority of herbal treatment and accentuated the importance given to drug therapy. In the classical Ottoman medicine medical treatment was based on treating the imbalanced temperament and consequently administration of a proper drug. Therefore, it was required in the trust of deeds of the Ottoman hospitals that the physician should know which drug would be proper to administer to a patient of a certain temperament and a certain illness and the effect of it; and he was expected to be skilful and experienced in the composition and preparation of drugs. However physicians were expected to prescribe only drugs in use; they should not prescribe unknown new drugs or those advised by the illiterate in the field. The drug compositions called mujarrab (meaning experimented as a word, in fact meaning a current drug) that we come across in medical manuscripts; and the slight modifications of known surgical methods, techniques and tools were not carried out as experiments and these innovations cannot be evaluated as a result arrived through research. New information obtained in many years through experiences by empirical methods were contributions achieved in case better results were reached in treating patients, as a result of modifications of the known treatments and operations. Yet, successful drug compositions and treatment methods provided a privilege and superiority for requesting service and treatment, so they were usually kept as a secret. These secrets in development were majorly transferred from father to son or from master to apprentice and some were gradually forgotten. These kinds of experiences for using in treatment was a means of obtaining knowledge, yet not being controlled experiments, they were not scientific data. The aim was not to try an innovation because of curiosity as Europeans had done. The main aim of the Ottoman physicians was healing the patient; and they had a life ideology for becoming a wise man; but it is difficult to assume that Ottoman physicians, except a few of them, were eager to attain scientific knowledge. In fact, according to Abbas Vesim, "it was very strange that acquiring scientific knowledge was not paid importance in Anatolia, especially in Bursa and Istanbul." Even if medicine was administered within the limits of the humoral theory, nonetheless it had to be used in accordance with the empirical data and this naturally influenced the development of drug therapy which was a practical method of treatment. Writers sometimes refer to their own practices and experiences in their manuscripts on simple and compound medicines and consequently especially medical prescriptions of the past may lighten the way for today's drug researchers and it is possible to find valuable clues to drug preparation in these manuscripts. Medical works are full of drug prescriptions tried (mujarrab) on patients aiming treatment. If a drug was qualified as already "tried" by a physician, this meant that he noted the healing effect of the drug on patients, just as a doctor today traces the activity of a drug retrospectively and transfers this information to the related drug company; but, the use of drugs depended on the knowledge reached through empirical, not on scientific data. As a result of the experiences in an empirical way, though it might probably contribute to medical treatment, the activity mechanism of a drug treatment and its result were explained in accordance with the humoral theory. While the preparation of simple and compound medicines were not based on the scientific methods of our day, depending on the theory that the main cause of both health and illness had to do with the equilibrium of the four elements, the results of practice were explained according to the humoral theory, that is, the humoral theory was used in a scholastic form of interpretation evaluating the treatment. However, the logical relation established between the features of the traditional medical philosophy consisting of elements, temperaments, spirits and intrinsic powers, were consistent. For this reason, if we could establish a sound relation between the traditional medical philosophy and treatments based on it and study on them in the light of our scientific medical knowledge, we can discern new information reached in clinical practices and invention of new drugs. As a matter of fact, in aiming to meet the practical needs and utilizing daily experiences they were able to achieve some developments. Figure 7: Drug beater called "edviye-kûb", employed at the SüleymaniyeHospital. (Gülbin Mesara collection). A special consent was taken from the patient, or the parent or guardian of the child, or from the judge before treatment or a surgical operation and a contract was signed especially before surgery to certify this, in order to withhold the patient, his/her relatives or the child's parent or guardian from starting a suit for compensation against the physician or surgeon in case of death or injury. Consent of a person for a surgical operation or treatment before hand means the renunciation of the future right of suing, in case of a harm or dissatisfaction. This certificate (hujjat) of consent was arranged at the presence of the judge and witnesses, between the surgeon and patient or his/her parent or guardian. Written and oral consent was not regarded as satisfactory and to guarantee against conflicts about the complications, the agreement was arranged and signed by witnesses at the presence of the judge (qadi). To be a legally valid consent though, its content should be known by the patient; but, we don't find disclosure of enough information, except in a few examples, and sometimes it is implicitly found in these documents. In this contract, the surgeon's skill was also noted and it was marked that the surgeon was going to operate the patient skilfully and was to do his best. 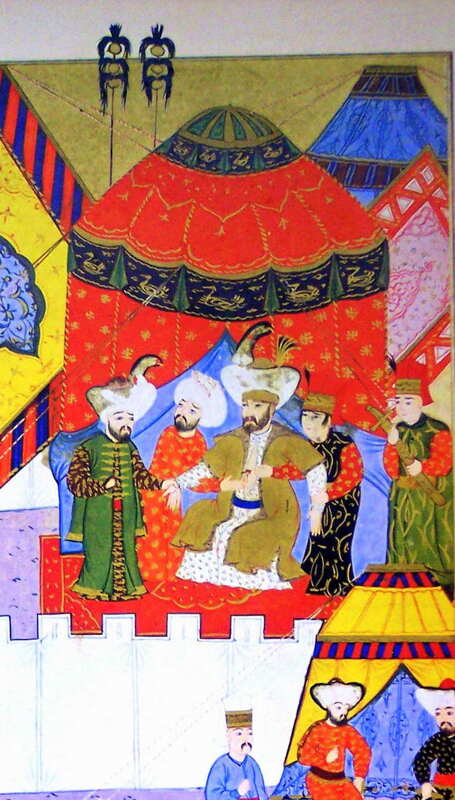 There are several examples of the above said contracts, dating back to the 15th century Ottoman rule. Then, when was a medical practitioner regarded responsible? Practitioners were not considered responsible for the complications of their treatment, provided that they observed certain requirements; if a written consent was taken; when there wasn't any unacceptable surgical or medical failure; when the surgical technique practiced was found to be in accordance with the standards of his time; when no ill will was found to be in the practice; and when found to be qualified, skilled and efficient enough, a practitioner was not regarded responsible. In order to understand whether the practice was in accordance with the day's knowledge and technique, an expert (ehl-i hibre), that is another surgeon/physician was called; and if found responsible, all unjustly given harm was to be compensated. It was important to consider the rules of the medicine of the day from the point of law. When the patient was injured as a result of medical practice, in case necessary conditions were provided, the physician or surgeon was not regarded as responsible for the unexpected or undesired results of the treatment. The principle was the fact that the physician "should not trespass the rules of medicine." In court records there are various examples of the said rule. For example, according to a record of Gaziantep law court dated 1765, the sued surgeon defended himself by this principle: "There was the illness called 'ummu's sibyan' - which is called düzümcü in our city- on the back of the boy. In treating this illness, it is incised with a lancet, then the fluid (ma-i jadit) in it is cleaned. Later, the wound is treated. This treatment has been practiced skilfully by surgeons since a long time." The Ottomans, in fact, had come across an important problem in medical practice during the 17th and 18th centuries that continued all through the 19th century. Some of the Europeans coming to the Ottoman territory, imagining to reach the country of fortunes, introduced themselves as if they were physicians. Some of these characters (so called travellers) who had come to Turkey, aimed to reach political favours; and others were apt to practice the new medicine. Especially from the 18th century on, we note an increase in the number of documents regarding quacks who presented themselves as if they were physicians, treated patients and harmed people. Decrees issued from time to time, on request of head physicians, ordered medical practitioners to take an examination and the licenses of those who were found to be inefficient were discarded and forbidden to practice and those found efficient were permitted to practice. These decrees were not issued only for the Ottoman subjects, but for those who had been coming from foreign countries and practicing medicine. The first effective and negative influence of European medicine to the Ottoman society was brought by the medicine of Paracelsus (1493-1541). The main reason of the Ottoman favour for the medicine of Paracelsus in the 18th and 19th centuries was the physicians' dependence on drug treatment. Drugs were believed to help establishing the imbalance caused by disease, even though by means of inorganic drugs. Head physician Hasan Efendi discussed the positive and negative features of this new medicine: "Highly effective and useful, the new medicine smells and tastes pleasantly; however, it should be taken in small amounts, for inorganic drugs are much more poisonous then herbal drugs; therefore, the new medicine should be used more carefully." The well known Ottoman physicians, such as Salih bin Nasrullah (d. 1669), Ömer bin Sinan of Iznik, Ömer Sifaî (d. 1742) and even Gevrekzâde Hafiz Hasan Efendi (d. 1801), devoted to Islamic medicine, quoted from Paracelsus's medical works. Yet, the Ottoman society paid painfully the consequences of applying the medicine of Paracelsus known as "tibb-i jadid" (the new medicine), for treatment with inorganic drugs had caused poisoning. In 1704 the Sultan decreed: "Some so called European physicians, who putting aside the former physicians' directions, using drugs called new medicine, harmed the patients they treated… Those European physicians who managed to start an office must be forbidden to practice." While this haphazard practice of the new medicine was tried to end, in the meantime Islamic medicine taught in the Süleymaniye Medical Madrasa was approved and its continuation was effected by means of this decree. Complaining against the poor practices of the European physicians and their inefficiency were not recorded only in official documents. For instance, head physician Gevrekâde Hafiz Hasan Efendi (1724-1801) complains of the European physicians in Istanbul especially and in the foreword of his eye treatise he notes: "Obviously, European physicians are incapable for treating illnesses. Everyone is aware that they lack information in the field (of medicine)." Gevrekzâde, who utilized his observations, experiences and explanations in his translations and compilations was eager for learning and inclined to think and from time to time noted works of European physicians too, though he highly favoured Islamic medicine. I conclude that wrong treatments by some of the European physicians who had come to the Ottoman territory, aiming to or pretending to have come to practice the new medicine (tibb-i jadid) that harmed the people of Istanbul enforced Gevrekzâde's favor to the Islamic medicine, because he used rather underrating terms against European physicians. Figure 8: Chief physician Ömer Efendi and surgeon Nuh Efendizâde on parade (Surname-i Vehbî,TopkapiMuseum Library, III. A. no. 3593, folio 160a). European physicians tried to reach new facts and explain their findings. This attempt necessitated experiments on patients, which might be harmful. For example, when Jenner expressed his hesitation of smallpox vaccination to his teacher John Hunter, he advised him "Don't think; try, but be accurate." However, though smallpox variolation had been in use for centuries by the Ottoman people, Ottoman physicians had never thought of experimenting it on man. But, Lady Montagu, wife of the British ambassador, who perceived the advantage of this interesting practice, managed to get the news transferred to England. The European scientific attitude which inclined man towards satisfying his curiosity when transfusing blood from a dog to a man in the 17th century, continued in the 20th century to contribute to the medical science highly by dangerous and even haphazard experiments on man. When I consider some of the archive documents I am studying, it is understood that, by persuading the authorities some European physicians were granted permission to practice in the Ottoman territory and they were awarded comprehensive facilities. For instance, in the early 19th century, Italian physicians Eusebio Valli and Antonia Pezzoni were permitted to practice medical experimentation in Anatolia. This is an interesting example of the way the European physicians were encouraged for medical research. In the case of failure their practice was forbidden by the authorities or sometimes they were driven out of the country; or from time to time physicians had to take an examination and succeed. While the majority of the Turkish - Muslim physicians were devoted or forced to practice the medical principles based on the humoral theory, European physicians were permitted and even encouraged the practice of the new medicine and even the new findings; however the practice of those who harmed people were prevented. The reasons underlying the above mentioned different attitudes should be researched through various points of views. I would like to quote another example from a foreigner, too. Based on his observations during his visit to Gemlik in 1832, David Porter, an American diplomat noted: "We were disappointed when we learned that this place had been invaded by the European physicians, most of them immigrant physicians from Western Europe who were going to get us fly away from the place in future". He notes a Russian physician, an expert of smallpox vaccine, "who experimented his skill using children of the town and consequently all of them died." Some ignorant and incapable foreign physicians from Europe resulted in a high mistrust in the new medicine amongst Ottoman people and this is also one of the causes for the delay of the Ottoman Turkish physicians to adopt the new medicine, favouring the former Islamic medical principles. The Ottoman rulers, who were aware of the harm by some European physicians, decided to have the Ottoman Greek citizens to start the new school of medicine planned to instruct European medicine, in 1805. The harm caused by the Europeans who had come to Istanbul to practice medicine was put forth as a necessity for starting a Greek School of Medicine as, "Although the physicians who came to Istanbul from Europe had been educated infamous schools of medicine, many examples of malpractice have been observed during their practices." As it is mentioned in the decree, being educated in Europe was not regarded to be satisfactory for being qualified as a good physician. Consequently, when medical education on the European lines was decided, the Ottoman Greeks were allowed and authorized to teach and practice the new medicine. From the related documents we conclude that this school was not permitted to be founded by Greek citizens only as a political privilege, but also the result of trying to solve an important problem. "As correspondence with the physicians of European hospitals and problems such as operations and experimenting on patients and anatomical practices were not convenient to be carried out in the medical madrasas in Istanbul", the Greek subjects were appointed to start a new medical school. Related sources prove that members of the medical madrasa were not able to exchange information with their European colleagues because they didn't know European languages; could not experiment on patients, nor dissect dead bodies, because they continued to observe the former principles of medicine. Figure 9: Prof. Dr. Akil Muhtar Özden (1877-1946) experimenting on a rabbit, an oil paint by Feyhaman Durandated 1932. (Cerrahpasa Medical School, Medical History Museum collection). The importance of regular view of new publications were clearly indicated in the code of the shipyard medical school "Tersane Tibhanesi", dated 1807; and the Minister of Navy was officed for ordering medical newspapers and new medical books of the day, published in Vienna, Paris and London. With the foundation of the medical school Mekteb-i Tibbiye in 1826-7, the change in the medical view of the Ottoman physicians speeded up. Mustafa Behçet Efendi (1774-1834), the head physician of Sultan Mahmud II and the founder of the Tibhane-i Amire regarded as the beginning of today's modern medical schools in Turkey, in his report dated 1826 wrote, "Although it is clear that medical treatment must be carried out in accordance with the rules of medicine, most of the Moslem physicians in Istanbul practice observing old medicine (based on the humoral theory), they are ignorant of the new medicine; while a physician to be worthy of being a member of the profession must utilize both the former and the new (European) medicine together on the patients treated. Good physicians are needed for treating the sick soldiers properly. However, Moslem physicians continue to practice the old medicine; they are ignorant of the new medicine. But, a good physician must cure his patients utilizing the information of both the former and the new medicine. That is, the necessity for treatment in accordance with the rules of medicine is obvious as everybody knows, yet the rules of medicine have changed. Furthermore, it is necessary to learn a foreign language for the education of science and skill in accordance with the new medicine." Hayrullah Efendi (1817-1866), a representative of the passage from the old medicine to the new one, stated in his Makalât-i Tibbiye (1843) that it was not possible to attain the divine medical wisdom, but he argued that, a physician might get rid of his inefficiencies by means of viewing new information regularly and the exchange of information would be provided by means of publication. Figure 10: Head physician (Topkapi Museum Library, III. A. Album no. 3690, illustration 7). Although the European medicine was transferred to the Ottoman medicine extensively in the 19th century, the traditional Islamic medicine was not excluded altogether. The traditional theory of humors and temperaments continued until the mid 19th century in the rapidly developing European medicine also; and the classic Islamic works were still utilized; Hippocratic medicine was still evaluated as a part of contemporary medicine, that is, the old medicine had not been handed over to history yet. We must not ignore the fact that the old and the European medicine were both studied and practiced in the mid 19th century Ottoman field of medicine. Yet, this attitude should not be disconcerting, for it could not be expected for the new information to replace immediately the classic medical knowledge which had been maintained for centuries or discard it completely. It would be irreconcilable with the nature of medicine to start to practice new findings, giving up all the former knowledge and techniques before certain phases are completed, because the health and life of man is concerned. In the late 19th century, along with the introduction of European knowledge, books based on the philosophy of the equilibrium of the four elements, describing the views of the antique and Islamic authorities compiled centuries ago continued to be translated, though in few numbers. The efforts to control the physicians coming from Europe was regulated in the second half of the 19th century by means of the regulation about the municipality medical practice (Tababet-i Belediye Icrasina Dair Nizamnâme) dated 1861; and the foreigners to be allowed to practice medicine or midwifery in the Ottoman Empire had to get their diplomas registered in the Royal School of Medicine (Mekteb-i Tibbiyye-i Sahane) and take the examination required successfully. In the decree and the supreme parliament (Meclis-i Vala) registry dated 1866, the reason for starting the Civilian School of Medicine (Mülki Tibbiye) was noted: "As the Military Medical School (Mekteb-i Tibbiyye-i Sahane) educates military physicians, people had to apply to European physicians, however, their ability and skill is usually insufficient for protecting public health." So, inefficiency of the physicians from Europe was once more accentuated. From the mid 19th century on, the acquiring of the new information was speeded up and was added to the Ottoman medicine in a short time. For example, in the 1847-8 activity report of the Royal Medical School, it is recorded that, the Ottomans started to use chloroform in operations and taught of it in the courses of the medical school only one year after Simpson's use of chloroform in operation in 1847. After Pasteur's first application of rabies vaccine in 1885, Sultan Abdülhamid II sent a team of three scholars to Paris for utilizing the new finding through direct observation and study in the institution it was being practiced. The rabies vaccine was prepared in the internal medicine department of the Medical School in early 1887, and later the physician Hüseyin Remzi, a member of the team, published a book on rabbies vaccine in 1889. Two years after the discovery of Roentgen in 1895, Esat Feyzi and Rifat Osman used the X-ray machine for the first time to define the spots of the bullet in the wounded during the Greek-Turkish war, which was recorded in the Turkish history of medicine as a remarkable event . Figure 11: Dr. Esad Feyzi and the X- ray machine. (Röntgen Su'a'ati ve Tatbikat-i Tibbiye ve Cerrahiyesi. Istanbul University Medical School, Medical History Department collection). When the practice of the European and the old medicine based on the humoral theory together ended, the necessity for acquiring both the old and the new medical knowledge came to an end, too. Thus, the tradition of priority of being a sage then being merely a medical practitioner came to an end as well. Physicians born during the late Ottoman period had medical education at the Ottoman medical school; went to a European medical centre for training and research, later lived and died as citizens of the Republic of Turkey, founded in 1923. Several of them contributed to medicine, introduced one or more innovations and started a foundation. These physicians and their work symbolize the peak of the efforts of the Ottoman intellectuals in westernization in the field of medicine. The role of positivism on their attitudes and activities is reflected in their laboratory and clinical researches and practices. These physicians who, were not satisfied with the practice of the new medicine only, started activities and research for the acquisition of new knowledge, the basis of development in science. Ottoman Turkish physicians of the late 19th century, who contributed to the world medicine realized some of their innovations in European countries where intellectuals of science existed. For instance, Celal Muhtar (Özden) functioned in doctor Roux's and doctor Metchnikoff s laboratories in Paris (1890); AMI Muhtar (Özden) studied in professor Mayor's laboratory of experiment and treatment in Geneva (1907); and Hasan Resad (Sigindim) worked in Hamburg with professor Arning (1913), contributing to medicine respectively. Researcher physicians such as Akil Muhtar, who founded a research laboratory in Turkey, succeeded to introduce science to their homeland, creating a tendency for research, so continued to contribute to science in Turkey. For instance, Akil Muhtar came to be a European man of science and tested the effects of drugs on patients in the clinic, a part of the Pharmacodynamics Laboratory. Akil Muhtar was a positivist, joining those who interpreted the evolution of ethics as a result of the evolution of the organism. His book named "Morals from the Point of View of Science' has a strong reflection of positivism. Furthermore, for Akil Muhtar, an operation aiming to prove a reality through scientific methods might be a justification for omitting some moral rules. For example, when he functioned as a pathologist at the Haseki Hospital, he was able to say to one of his students about a patient, "in case the women dies let me know of it, so that we can practice a post mortem examination" for the purpose of describing autopsy by demonstration; and afterwards, in order to be able to practice autopsy, he could say that she was "a suspect of the probability of being poisoned". Believing "the concept of justice to be the basis of the existence of being", the Ottoman Turkish physician was responsible for establishing the balance and harmony in the universe, nature and man. While the will to be a wise physician was expressed in hospitals' trust of deeds, medical manuscripts and literary work, the principle of not to harm the patient, avoiding practices that may imbalance the body were the most important values that hindered the development of the medical science through questioning the current knowledge and experimenting. While a professional high ethics observing patients' consent and the medical ethics requiring the priority of not being harmful to the patients was to be considered by the Ottoman physician, Europeans contributed to the science of the world through their experiments that started the way for science by means of what they learned during operations in nature, aiming to utilize/overcome nature in which they were often successful. Physicians of the Turkish Republic have been learning and practicing contemporary scientific medicine since 1923, the foundation of the State. Researcher physicians have been carrying out experimentations and contributing to the development of medicine. However, have the 20th and 21st centuries' Turkish regulations provided sufficient patient protection? In 1928, law on medical practice was passed, and consent was required before medical intervention. In 1960, a regulation on the principles of medical deontology was put into force and physicians were permitted to try new methods of treatment in case of an incurable disease, though not to cause the patient get worse. Many other Turkish laws and regulations related with medical ethics can be cited. I would like to relate an anecdote that reflects the sensitiveness of an affectionate Turkish researcher in a period (1973) when research ethics committees did not exist. A PhD student, an intimate friend of mine complained in sorrow: "I scrape palate tissue from patients for experimentation. Patients thank and pray me. They say "God bless you". They assume that it is a part of their treatment. I feel so disgusting." Educated as a medical scientist, she was following her teachers' attitude towards positive science. However she was worried about not telling the truth to the patients she was to harm, though she was not taught in any other way to act. A turning point was the regulation on drug experimentation, passed in 1993; and hence a research ethics committee's permission has been required. Recently, related new regulations have been discussed in detail. Developments in medicine will require new laws to be passed in the future. However, we should keep in mind that, the scientific medical world will always be in need of virtuous physicians and researchers, no less then it was needed in the past. [1.] S. Kadioglu: "Nâbi'nin Hayriyye'sinin Mebhâs-i Lâzime-i Hikmet ü Tib Bölümü: Sair Gözüyle On Yedinci Yüzyil Osmanli Tibbina Elestirisel Bir Bakis". International Congress on Learning and Education in the Ottoman World. Istanbul, 12-14 Nisan 1999. See also M. Kaplan: Hayriyye-i Nabi (Inceleme-Metin). Ankara 1995. The following phrases are included in the trust of deeds of Fatih, Haseki, Manisa, Süleymaniye and Atik Valide hospitals, respectively: "Two physicians superior in their knowledge of medicine and treatment methods; those who know all the laws of medicine and philosophy and comprehend by experience all the related issues in detail; physicians cognizant of all the medical and philosophical issues through experience; physicians who have acquired all details of medicine and philosophy (hikmet), having filled their minds with knowledge of wisdom shall be employed." See N. Sari: "Osmanli Darüssifalarina Tayin Edilecek Görevlilerde Aranan Nitelikler", Yeni Tip Tarihi Arastirmalari I, Istanbul 1995, pp. 11-54; p. 18; N. Akdeniz (Sari): Osmanlilarda Hekim ve Deontolojisi, Istanbul 1977, p. 70 for the requisite of the physician to be a scholar (learned wise man, âlim). [2.] G. A. Russel: "Physicians at The Ottoman Court", Medical History, A Quarterly Journal Devoted to the History of Medicine and Related Sciences, vol. 34, no. 3, July 1990, pp. 243-267; p. 267. For some publications describing and explaining the question and sources of knowledge in Ottoman medicine and the philosophy (hikmet)/philosopher-physician (hakîm) concepts, see N. Keklik: Türk-Islam Felsefesi Açisindan Felsefenin Ilkeleri. Ankara 1996, "Istanbul University Faculty of Literature Publication no. 3484", pp. 2-14; M. Türker-Küyel: "Türklerde Felsefe Gelenegi". Türk Yurdu. vol. 44, no. 390, Nisan 1991, pp. 5, 11, 12; S. Ural: Bilim Tarihi. Istanbul 1998, "Kirkambar Publication no. 27"; E. Kâhya: "Anadolu Selçuklularinda Bilim", Erdem, vol. 5/13, no. 13, Ocak 1989, pp. 63-79 (see: pp. 65-68 on the relation between man and cosmos, the question of existence; and mathematics being regarded as a bridge between the world of senses and the one perceived through mind/intellect in the Turkish-Moslem community is discussed); M. T. Türker-Küyel: "Felsefenin Tarifinde ve Tarihinde Bir Kaynak Olarak Farabi (Al-Farabi As a Source of the History of Philosophy and of Its Definition." Erdem, vol. 6, no. 18, 1992, pp. 725-735; I. Yakit: Ihvan-i Safa Felsefesinde Bilgi Problemi. Istanbul 1985, "Akademik Kitaplar Series 40"; I. Özel ve ark. : Bilgi, Bilim ve Islam. "ISAV Tartismali Ilmi Toplantilar Series 5", Istanbul 1992; Yesim Isil (Ülman): "XIX. Yüzyil Sonunda Ali Sedad Bey'in Kavaid-i Tahavvülât Fî Harekâti'z-Zerrat Adli Kitabinda Ilmi Zihniyet Meselesi Hakkinda. Tip Tarihi Arastirmalari 3, Istanbul, 1989, pp. 108-115 for the question of scientific approach amongst Ottoman-Turkish intellectuals in late 19th century. Also see: N. Öner: Tanzimattan Sonra Türkiye'de Ilim ve Mantik Anlayisi, Ankara 1967, Ankara Üniversitesi Ilahiyat Fakültesi Publication; and I. Özel: Bilgi, Bilim ve Islam I: ISAV Tartismali Ilmî Toplantilar Dizisi 5, Istanbul 1992. [3.]. Ottoman medicine was based on the theory of four elements (anasir-i erbaa) and four temperaments (mizac). The four elements did not simply mean fire, water, earth and air; and the four qualities, heat, dryness, moisture and coldness were not evaluated simply as perceived in nature, because all the other elements and qualities were considered to be included in this theory. The four humors (ahlat-i erbaa), i.e. blood, phlegm, yellow bile, and black bile, were believed to be found in the body, in correspondence to the four elements in nature, were supposed to have different qualities. The composition of the four humors was considered to form the character, that is the temperament of a person; consequently everyone has an individual character, for the composition of the four humors is particular to each person. There might be imbalance in the proportion of the humors, consequently some people are phlegmatic, others are melancholic, choleric or sanguine. See N. Sari: "Bilim Dogu'ya Göç Ediyor: Islam Dünyasi". Cerrahpasa Medical School Medical History Department 1995-96 lecture notes, pp. 1-2. As Ottoman medicine was based on the theory of four elements and humors, consequently it was always emphasized strongly in the trust of deeds of hospitals; and physicians were required to be "skilful in diagnosing people's temperaments and dispositions"; "one who knows the characteristics of temperaments"; "a master in improving temperaments and informed of the effects of humors' qualities and the nature of food and syrups"; to have "full comprehension of temperaments'characteristics"; and to be one who "knows the characteristics of human nature". See N. Sari: "Osmanli Darüssifalarina Tayin Edilecek Görevlilerde Aranan Nitelikler", Yeni Tip Tarihi Arastirmalari I, Istanbul 1995, pp. 11-54. See: pp. 16­18. [4.] R. H. Uzel: "Kanuni Süleyman Zamaninda Bir Tibbi Müsavere: Kaysunîzâde ve Hamonoglu". Türk Tip Tarihi Arkivi, vol. 4, no. 15, 1940, pp. 103-105. E. Ihsanoglu: Büyük Cihad'dan Frenk Fodulluguna, p. 102. [5.] See Abbas Vesim Efendi b. Abdurrahman b. Abdullah: Düstûrü'l Vesim fi' t-Tibbi'l-Cedid ve'l-Kadim Ragip Pasa Library, no. 947, f. 508a for the idea that obtaining information by reading books written in the past is beneficial. Also see Mukbilzâde Mü'min: Miftâhü'n Nur ve Hazâinü' s Sürûr. Süleymaniye/Hamidiye Library, no. 1034/4, f. 93a. 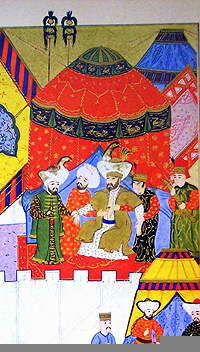 ; Emir Çelebi: Enmüzecü't tib. Süleymaniye/Fatih Library, no. 3530, f. 263a; and Abbas Vesim, f. 507 b for the necessity to be informed by the authorities. See N. Sari: Türk Tip Tarihinde Hindiba Türleri, Etkileri ve Günümüz Arastiricilarina Öneriler, (The Drug Hindiba)" Yeni Tip Tarihi Arastirmalari 4, Istanbul 1998, pp. 11-54 (pp. 12-13, 15-16, 38, 40, 46, 48); N. Akdeniz (Sari): "Osmanlilarda Hekim ve Deontolojisi", op.cit., pp. 72, 127, 138; E. Kâhyanotes: "Generally previous medical works were copied or comments were made to classical works of medicine in the 18th century too" (see Kâhya E.: "On Dokuzuncu Yüzyilin Ilk Yarisinda Osmanli Imparatorlugunda Tip Egitimi ve Kalburüstü Hekimlerimiz". Erdem, Eylül 1985, vol. I, no. 3, pp. 685-6; p. 687). [6.] . See Abbas Vesim Efendi b. Abdurrahman b. Abdullah: Düstûrü'l Vesim fi' t-Tibbi'l-Cedid ve'l-Kadim. Ragip Pasa Library, no. 947, ff. 509 b, 500a - 501a, 505a, for the importance of reaching information by means of observation in hospitals. See Emir Çelebi: Enmüzecü't tib. Süleymaniye/Fatih Library, no. 3530, f. 263a; and Abbas Vesim, f. 508a, for the idea that obtaining information by reading books written in the past is beneficial. See N. Akdeniz (Sari): Osmanlilarda Hekim ve Deontolojisi, op.cit., pp. 72, 127, 138. [7.] S. Ural. : Bilim Tarihi. Istanbul 1998, Kirkambar Publication no. 27, pp. 152, 153, 213-214, 225, 245; H. Z. Ülken: Bilim Felsefesi. Istanbul, 1983, "Ülken Publication no. 3. "; C. Yildirim: Bilim Felsefesi. Istanbul 1979, "Remzi Kitabevi Publication, Büyük Fikir Kitaplari Series 35"; R. S. Westfall: Modern Bilimin Olusumu The Construction of Modern Science (translated by I. H. Duru), Ankara 1987, V. Publication; G. A. Russell: Introduction To The Seventeenth Century: The Age of 'Arabick'. "The 'Arabick' Interest of the Natural Philosophers in Seventeenth-Century" England. Edit. G. A. Russell. E. J. Brill, Leiden 1994, p. 6; E. Kâhyanotes, "Generally previous medical works were copied or comments were made to classical works of medicine in the 18th century too." See "On Dokuzuncu Yüzyilin Ilk Yarisinda Osmanli Imparatorlugunda Tip Egitimi ve Kalburüstü Hekimlerimiz", op.cit., pp. 685-6; S. Ural: op.cit., p. 216. For Roger Bacon's (1220-1292) reaction to authorities, see pp. 150-152, 214; E. Z. Karal: Osmanli Tarihinde Türk Dili Sorunu (Tarih Açisindan Bir Açiklama) Bilim Kültür ve Ögretim Dili Olarak Türkçe. Ankara, 1978, "Türk Tarih Kurumu Publication, XXIII Series, no. 1", pp. 7-96. See p. 40. [8.] For the advice to physicians not to use drugs he/she does not know, see foot note 35; also see: N. Akdeniz (Sari): Osmanlilarda Hekim ve Deontolojisi, op.cit., pp. 113-114. For the qualifications expected to be employed as a lecturer (müderris) according to the trust of deed of Süleymaniye Medical Madrasa, see K. Kürkçüoglu: Süleymaniye Vakfiyesi. Ankara 1962, Vakiflar Umum Müdürlügü publication, p. 86. On the qualifications expected to be employed as a physician, see: N. Sari: "Osmanli Darüssifalarina Tayin Edilecek Görevlilerde Aranan Nitelikler", op.cit., pp. 17, 18. [9.] . M. Kaplan: Hayriyye-i Nabi (Inceleme-Metin), Ankara 1995. [10.]. R. M. Veatch: Case Studies In Medical Ethics. 1976, Harvard University Press, pp. 20­21. [11.]. For the necessity of treatment appropriate to the temperament of the patient, not disturbing his/her nature, see N. Akdeniz (Sari): Osmanlilarda Hekim ve Deontolojisi, pp. 112-113, 114, 159; and N. Akdeniz (Sari): Osmanlilarda Hekim ve Deontolojisi, pp. 113-114. See Ibn-i Serif (15th century): Yâdigâr, f. 59 b.; Hayrullah Efendi (1820-1869): Makâlat-i Tibbiye, pp. 145 ff. For the importance paid to man created as the most glorious being and the essense of the universe, see N. Akdeniz (Sari): Osmanlilarda Hekim ve Deontolojisi, pp. 20, 22, 27-32. Should not spoil the temperament because of ignorance" (M. Kaplan: Hayriyye-i Nabi (Inceleme-Metin). Ankara 1995). For the Islamic rules related with the legal responsibility of the physician, see: A. Udeh (trans. R. Özcan - A. Safak): "Et-Tesriü'I-Cinâiyyü'l-Islâmî Mukarinen Bi'l Kanuni'l-Vaz'i." Mukayeseli Islâm Hukuku ve Beseri Hukuk (Notlar Ilaveli ve Türk Ceza Kanunu ile Karsilastirmali). vol. 2, Ankara 1990", Rehber publication no. 11, Temel Eserler series 1, p. 123. See Ö. N. Bilmen: Hukuki Islamiyye ve Istilahati Fikhiyye Kamusu. Istanbul, Bilmen publication, vol. 3, p. 113; vol. 7, p. 272; and H. Günenç: Günümüz Meselelerinde Fetvalar, vol. 1, Istanbul 1983, Ilim publication, vol. 138. [12.]. N. Sari: "Türk Tip Tarihinde Hindiba Türleri, Etkileri ve Günümüz Arastiricilarina Öneriler", op. cit., pp. 12-13, 15-16, 38, 40, 46, 48. In the introduction of his Edviye-i Müfrede, the first medical manuscript in Turkish, Ishak bin Murad noted: "I compiled the materia medica current in neighboring districts/provinces and those known in Turkish. "; however, he described under the title willow his discovery of a new medicine (f. 23b), explaining that he "prescribed it many times and that it was unknown in medicine." Although in Ottoman manuscripts we frequently come across drug treatments said to be tried, we rarely find one described as a discovery. See M. Canpolat: XIV Yüzyilda Yazilmis Degerli Bir Tip Eseri Edviye-i Müfrede, Türkoloji Dergisi. vol. V, no. 1, 1973, pp. 25-26. See:pp. 21-22. It was not unusual that health practitioners recorded their secret knowledge and experiences as a keepsake for their son or apprentice, so as not to be forgotten. As an example of such work written down not to be copied, see Dervis Mehmed's(1764/5-1840) treatise on prescriptions of ointments. There are phrases in this manuscript about keeping drug prescriptions as secret. See f. 8a­8b, 10b-11a, 19a. See N. Sari-R. Tug: "Enderun-i Hümayun Kilâr-i Hassa Baskullukçusu Dervis Mehmed'in (1764/5-1840) Dühn Terkiplerine Ait Risalesi". IV.Türk Eczacilik Tarihi Toplantisi (4-5 Haziran l998) Bildirileri (Edt: E. Dölen). Marmara University publication no. 657, Eczacilik Fakültesi Yayin no.15. 2000: 238-297.) In the anonymous book "Kitabü'l Mecmuatü'l Mücerrabat" (probably of the 18th century) on chemistry and alchemy, it is noted that some specially secret knowledge was intended to be hidden from "incompetent people". See N. Sari-Y. Okutan: "Kimya Ilmine Ait Kitâbü'l Mecmuatü'l Mücerrebât'a Kisa Bir Bakis". IV. Türk Eczacilik Tarihi Toplantisi Bildirileri (4-5 Haziran l998, Istanbul). Marmara University publication no. 657, Eczacilik Fakültesi Yayin no.15. 2000: 261-276). For a general look at the 19th century Ottoman medicine, see E. Kâhya: Ondokuzuncu Yüzyilda Osmanli Imparatorlugunda Tip Egitimi ve Türk Hekimleri. Ankara 1997, "Atatürk Kültür Merkezi Baskanligi Publication, Türk Kültüründen Görüntüler Series: 34"; and A. Adivar: "Osmanli Türklerinde Ilim". Istanbul, 1943; A. Adivar: Osmanlilarda Türklerinde Ilim. 4th publication. A. Kazancigil, S. Tekeli (Ed. ), Istanbul 1982, Remzi Kitabevi. See: p. 172; Düstürü'l Vesim fi Tibbü' l-Cedîd ve' l-Kadîm. Ragip Pasa Library, no. 947. [13.]. E. Ihsanoglu: Büyük Cihad'dan Frenk Fodulluguna. p.102. See R. H. Uzel: Kanuni Süleyman Zamaninda Bir Tibbi Müsavere: Kaysunîzâde ve Hamonoglu. Türk Tip Tarihi Arkivi, vol. 4, no. 15, 1940, pp. 103-105. As stated in the trust of deeds of hospitals, physicians were required to "work hard for treating patients using the proper medicine described in well known medical books; be skilful in preparing drugs and being informed of whether or not a syrup or paste would be appropriate for the temperament of the patient; be a master about the harmful and beneficial effects of drugs and highly informed of the harms and benefits of medical plants; be skilful in preparing drugs and understanding the proper and adverse effects of pastes and syrups on patients; be highly experienced in preparing drugs, informed of patients' temperaments and the appropriateness of drugs for them, hence competent both in theory and practice, knowing the principles of preparing drugs and skilled in preparing liquids and pastes". See N. Sari: Osmanli Darüssifalarina Tayin Edilecek Görevlilerde Aranan Nitelikler, op.cit., pp. 18-19. See N. Akdeniz (Sari) : Osmanlilarda Hekim ve Deontolojisi, op.cit., p. 112 for prescribing the medicine proper for the temperament. Must know the way to treat the affected organ of the human body." [15.]. Sari, N. : "Ethical Aspects of Ottoman Surgical Practice." Türkiye Klinikleri Tip Etigi Dergisi, Nisan 2000; 8 (1): 9 -14. [16.]. A. Bardakoglu: Islam Hukukunda Doktor ve Diger Saglik Personelinin Hukuki Mesuliyeti. Kayseri Üniversitesi Gevher Nesibe Bilim Haftasi ve Tip Günleri, 11-13 Mart 1982, pp. 527-530; A. Udeh (trans. R. Özcan-A. Safak): "Et-Tesriü'I-Cinâiyyü'l-Islâmî Mukarinen Bi'l Kanuni'l­Vaz'i. Mukayeseli Islâm Hukuku ve Beseri Hukuk (Notlar Ilaveli ve Türk Ceza Kanunu ile Karsilastirmali). Vol. 2, Ankara 1990", Rehber publication no. 11, Temel Eserler series 1, p. 124; C. C. Güzel, H. Yetkin: Gaziantep Ser' i Mahkeme Sicillerinden Örnekler (Cilt 81­141/Milâdî 1729-1825). Gaziantep, 1970, "Gaziantep Kültür Dernegi Yayini, no. 55", p. 80 (Gaziantep defteri, vol. 122, pp. 72, 15 Saban 1178/8.02.1765). [17.]. O. S. Uludag: Osmanli Sarayinin Yabanci Hekimleri, Yeni Türk, vol. 4, no. 38, Subat 1936, pp. 189-194; F. N. Uzluk: Fatih Sultan Mehmed Zehirlendi mi Eceli ile mi Öldü? Ankara Üniversitesi Tip Fakültesi publication, no. 150. Specially see pp. 22, 23, 25, 32, 38, 44, 46, 48, 52; N. Akdeniz (Sari): Osmanlilarda Hekim ve Deontolojisi, op.cit., pp. 154-164; G. A. Russell: Physicians At The Ottoman Court. op. cit., p. 248; E. Kâhya: On Dokuzuncu Yüzyilda Osmanli Imparatorlugu'nda Tip Egitimi ve Türk Hekimleri. Ankara 1997, Kültür Merkezi Baskanligi publication, Türk Kültüründen Görüntüler Series, p. 2; A. Adivar, op.cit., p. 178; E. Kâhya: "On Dokuzuncu Yüzyilin Ilk Yarisinda Osmanli Imparatorlugunda Tip Egitimi ve Kalburüstü Hekimlerimiz",op. cit., see p. 688; and H. Sahillioglu: "1700 Yilinda Istanbul'da Muayenehane Açma Izni Olan Tabib ve Cerrahlar", Türk Dünyasi Tarih Dergisi, no. 136, Nisan 1998, pp. 10-14; p.12. [18.] N. Sari - M.B. Zülfikar: "The Paracelsusian Influence on Ottoman Medicine in the Seventeenth and Eighteenth Centuries". Transfer of Modern Science and Technology to the Muslim World; Proceedings of the International Symposium on Modern Science and the Muslim World (Istanbul, 2-4 September 1987) Istanbul 1992, pp. 157-179; N. Sari, B. Zülfikar, M. Yildirim: "Gevrekzâde Hafiz Hasan ve 'Zübdetü'l-Kuhliyye-fi Tesrihi'l-Basariyye." III. Türk Tip Tarihi Kongresi (Istanbul, 20 -22 Eylül l993) Kongreye Sunulan Bildiriler. Türk Tarih Kurumu Basimevi. Ankara, 1999: 250 -256 (Levha: 14 -23); A. Adivar, op.cit., p. 101: "According to Paracelsus, as diseases are the result of the increase or decrease of chemicals that provide the chemical composition of the body, patients could be treated either by supplementing or by releasing elements of this chemical composition." See also E. Atabek: "Hollandali Hekim H. Boerhaave'in Aphorisma'larinin Türk Tip Tarihindeki Yeri". Tip Tarihi Arastirmalari History of Medicine Studies. vol 1, Istanbul 1986, pp. 25-44; pp. 28-30; and Kâhya E.: "Tanzimatta Eski ve Yeni Tip", 150. Yilinda Tanzimat. H. D. Yildiz (Ed. ), Ankara, 1992, See: p. 292. [19.] Gevrekzâde Hafiz Hasan Efendi: Risale­i Zübdetü' i Kuhliyye fi Tesrihi' i Basariyye. 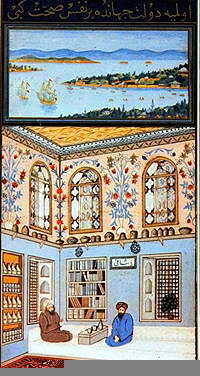 Topkapi Palace Library/ Hazine, no. 571. See foreword. [20.]. Garrison F. H.: An Introduction to the History of Medicine with Medical Chronology, Suggestions for Study and Bibliographic Data, Philadelphia, 1929, Saunders Company. [21.] The Italian physicians Valli and Pezzoni and their assistants were officially authorized to practice safely and freely in Bolu, Bursa, Iznik, Izmir, Ankara, Nigde, Konya, Kayseri and other provinces. Though undated it's probably an early 19th century document. See B.O.A., Cevdet Sihhiye 484 and R. Murphey: pp. 265-267. (David Porter:"Constantinople and Its Environs in a Series of Letters (1831-1834)". I, New York: Harper and Brothers. 1835, p. 271). [23.] N.Akdeniz (Sari): Osmanlilarda Hekim ve Deontolojisi, op.cit., pp. 149-150; O. Ergin: Türkiye Maarif Tarihi. vol. 2, Istanbul 1940, pp. 364-5; and E. K. Unat-M. Samasti: Mekteb-i Tibbiye-i Mülkiye. Istanbul 1990, Istanbul University Cerrahpasa Medical School publication, pp. 8-9. [24.]. A. I. Gencer: "Istanbul Tersanesinde Açilan Ilk Tip Mektebi." Tip Fakültesi Mecmuasi, vol. 41, 1978, pp. 732-747. See: pp. 736, 742; BOA, Maliyeden Müdevver defter, no. 8886, p. 341. [25.] O. Ergin: op. cit., pp. 2, 4; N. Sari: Osmanlilarda Tiphanenin Kurulusuna Kadar Tip Egitimi, op.cit, p. 162; See BOA Cevdet Sihhiye 304; E. Z. Karal: Osmanli Tarihinde Türk Dili Sorunu (Tarih Açisindan Bir Açiklama) Bilim Kültür ve Ögretim Dili Olarak Türkçe. Ankara, 1978, "Türk Tarih Kurumu Publication, XXIII series, no. 1", pp. 7-96. See: p. 35; A. Adivar: op. cit., p. 191; A. Altintas: "Tiphane-i Amire'ye Adim Adim", Tarih ve Toplum, Vol. 29, no. 171, Mart 1998, pp. 132-137; p. 135. Mustafa Behçet Efendi, who was a pioneer of European medical education, translated Antonio Caldani's Fisiologicae from Italian to Turkish ten years after its publication, a short period for the day." See E. Kâhya: Tanzimatta Eski ve Yeni Tip, op. cit, p. 292. [26.] Hayrullah Efendi: Makalât-i Tibbiye. Matbaa-i Amire, Istanbul 1259. See: p. 145. [28.]. Düstur Tertip I. vol. 2, pp. 814-6; N. Akdeniz (Sari): Osmanlilarda Hekim ve Deontolojisi, op.cit., pp. 149-150. [29.]. O. Ergin: Türkiye Maarif Tarihi. vol. 2, Istanbul 1940, pp. 364-5; E. K. Unat-M. Samasti: Mekteb-i Tibbiye-i Mülkiye. Istanbul 1990, Istanbul University Cerrahpasa Medical School publication, pp. 8-9. [30.]. F. H. Garrison: op.cit., p. 372; S. Ünver: Türkiye' de Çiçek Asisi ve Tarihi. Istanbul 1948, pp. 19-23; Z. Özaydin: "Insan Üzerinde Etige Aykiri Deneyler ve Etik Kodlar". Sendrom, yil 9, no. 10 Ekim 1997, pp. 102-107. We learn from the 1847-48 activity report of the medical school Mekteb-i Tibbiye that chloroform was used in surgery and medical training in the Ottoman Empire after a short time following Simpson's use of chloroform in an operation in 1847. See Y. i. Ülman: "Mekteb-i Tibbiye-i Adliye-i Sahane'de Kloroformun Ilk Kez Kullanilmasi." Tarih ve Toplum, vol. 23, no. 138, Haziran 1995, pp. 24-26; Y. I. Ülman: Journal de Constantinople'a Göre Mekteb-i Tibbiye-i Adliye-i Sahane'nin Galatasaray Dönemi, Istanbul University Health Sciences Institute, unpublished MSc thesis, Istanbul 1994, pp. 75-76, 77, 78; Z. M. Tunçman: "Büyük Pasteur'ün Kuduz Asisi Bulusu Hakkinda." Istanbul Seririyati, yil: XXVII, no. 12, 1945, pp. 6-10; pp. 8-9; S. Ünver: "Ölümünün 50'inci Yilinda Doktor Hüseyin Remzi'nin, Üstadi Pastör'ün Kuduz Üzerine Çalismalari Hakkinda Hatiralari." Tibbiyeliler Bayrami, 14 Mart 1947, Istanbul 1947, Tib Talebe Cemiyeti publication, no. 12, pp. 6-12; and N. Sari: "Tarihte Radyoloji- Türk Tarihinde Röntgen Öncüleri". 1987 lecture notes, pp. 4-5. [31.] Akil Muhtar studied the effects of drugs on animals in the pharmacodynamics laboratory he founded; and he enabled the observation of drugs' effects on patients in the clinic (Tedavi Klinigi) he started as a section of the pharmacodynamics laboratory. His scientific approach was trasferred to his student Prof. Dr. Alaaddin Akcasu, who also contributed highly to medicine. The above mentioned researchers' innovations are most remarkable in the history of Turkey in respect to the fact that scientific inventions in a field follow one another and scientific information is transmitted from one period to the next, that is, science is a kind of knowledge that develops continuously. Similar examples can be given from recent history of Turkish dermatology, hematology and rheumatology. See N. Sari - Z. Özaydin: "Mekteb-i Tibbiye Mezunu Türk Hekimlerinin Buluslari", 1998 lecture notes. See A. Muhtar (Özden): Ilim Bakimindan Ahlak. 3rd issue, Istanbul 1950; and N. Taskiran: Haseki'nin Kitabi. Istanbul 1972, pp. 317-318. [32.] For the necessity of treatment appropriate to the temperament of the patient, not disturbing his/her nature, see N. Akdeniz (Sari): Osmanlilarda Hekim ve Deontolojisi, pp. 112-113, 114, 159. On the importance paid to man created as the most glorious being and the essense of the universe, see N. Akdeniz (Sari): Osmanlilarda Hekim ve Deontolojisi, pp. 20, 22, 27-32; and R. M. Veatch : Case Studies In Medical Ethics. 1976, Harvard University Press, pp. 20­21. - Abbas Vesim Efendi b. Abdurrahman b. Abdullah: Düstûrü'l Vesim fi' t-Tibbi'l-Cedid ve'l-Kadim Ragip Pasa Library, no. 947. - Adivar A.: "Osmanli Türklerinde Ilim". Istanbul, 1943; A. Adivar: Osmanlilarda Türklerinde Ilim. 4th publication. A. Kazancigil, S. Tekeli (Ed. ), Istanbul 1982, Remzi Kitabevi. - Akdeniz (Sari) N.: Osmanlilarda Hekim ve Deontolojisi. Istanbul 1977. - Akil Muhtar (Özden): Ilim Bakimindan Ahlak. 3rd issue, Istanbul 1950. - Altintas A.: "Tiphane-i Amire'ye Adim Adim". Tarih ve Toplum, Vol. 29, no. 171, Mart 1998, pp. 132-137. - Atabek E.: "Hollandali Hekim H. Boerhaave'in Aphorisma'larinin Türk Tip Tarihindeki Yeri". Tip Tarihi Arastirmalari History of Medicine Studies. vol 1, Istanbul 1986, pp. 25-44. - Bayat A. H.: Osmanli Devlet' inde Hekimbasilik Kurumu ve Hekimbasilar, Ankara 1999, Atatürk Kültür Merkezi Baskanligi Yay., no. 199". - Bilmen Ö. N.: Hukuki Islamiyye ve Istilahati Fikhiyye Kamusu. Istanbul, Bilmen publication, vol. 3; vol. 7. - B. O. A. (Ottoman State Archive): Cevdet Sihhiye, no. 304. - B.O.A. (Ottoman State Archive): Cevdet Sihhiye no. 484. - Canpolat M.: "XIV Yüzyilda Yazilmis Degerli Bir Tip Eseri Edviye-i Müfrede." Türkoloji Dergisi. vol. V, no. 1, 1973, pp. 21-22. - DüsturTertip I. vol. 2, pp. 814-6. - Emir Çelebi: Enmüzecü't tib. Süleymaniye/Fatih Library, no. 3530. - Ergin O.: Istanbul Tip Mektepleri Enstitüleri ve Cemiyetleri. Istanbul 1940, "Istanbul Üniversitesi Tib Tarihi Enstitüsü, no. 17. - O. Ergin: Türkiye Maarif Tarihi. vol. 2, Istanbul 1940. - Faden R. R., Beauchamp T. L.: A History and Theory of Informed Consent. Oxford 1986. - Garrison F. H.: An Introduction to the History of Medicine with Medical Chronology, Suggestions for Study and Bibliographic Data, Philadelphia, 1929, Saunders Company. - Gevrekzâde Hafiz Hasan Efendi: Risale_i Zübdetü' i Kuhliyye fi Tesrihi' i Basariyye. Topkapi Palace Library/ Hazine, no. 571. - Gencer A. I.: "Istanbul Tersanesinde Açilan Ilk Tip Mektebi." Tip Fakültesi Mecmuasi, vol. 41, 1978, pp. 732-747. - Günenç H.: Günümüz Meselelerinde Fetvalar, vol. 1, Istanbul 1983, Ilim publication, vol. 138. - Güzel C. C., Yetkin H.: Gaziantep Ser' i Mahkeme Sicillerinden Örnekler (Cilt 81-141/Milâdî 1729-1825). Gaziantep, 1970, "Gaziantep Kültür Dernegi Yayini, no. 55" (Gaziantep defteri, vol. 122, pp. 72, 15 Saban 1178/8.02.1765). - Hasan Efendi: Gayet al-Müterakkî fi Tedbîr-i Kül al-Maraz. Istanbul University Library, no. 7135. - Hayrullah Efendi: Makalât-i Tibbiye. Matbaa-i Amire, Istanbul 1259. - Ibn-i Serif: Yâdigâr fi't -tibb. Cerrahpasa Medical School History Museum Manuscript Collection. - Ihsanoglu E.: E. Ihsanoglu: Büyük Cihad' dan Frenk Fodulluguna. Iletisim Publication. Istanbul, 1996. - Kadioglu S.: "Nâbi'nin Hayriyye'sinin" Mebhâs-i Lâzime-i Hikmet ü Tib Bölümü: Sair Gözüyle On Yedinci Yüzyil Osmanli Tibbina Elestirisel Bir Bakis." International Congress on Learning and Education in the Ottoman World. Istanbul, 12-14 Nisan 1999. - Kâhya E.: "On Dokuzuncu Yüzyilin Ilk Yarisinda Osmanli Imparatorlugunda Tip Egitimi ve Kalburüstü Hekimlerimiz". Erdem, Eylül 1985, vol. I, no. 3, p. 687. - Kâhya E.: "Anadolu Selçuklularinda Bilim", Erdem, vol. 5/13, no. 13, Ocak 1989, pp. 63-79. - Kâhya E.: "Tanzimatta Eski ve Yeni Tip", 150. Yilinda Tanzimat. H. D. Yildiz (Ed. ), Ankara, 1992, pp. 296-297. - Kâhya E.: On Dokuzuncu Yüzyilda Osmanli Imparatorlugu'nda Tip Egitimi ve Türk Hekimleri. Ankara 1997, Kültür Merkezi Baskanligi publication, Türk Kültüründen Görüntüler series. - Kaplan M.: Hayriyye-i Nabi (Inceleme-Metin). Ankara 1995. - Karal E. Z.: Osmanli Tarihinde Türk Dili Sorunu (Tarih Açisindan Bir Açiklama) Bilim Kültür ve Ögretim Dili Olarak Türkçe. Ankara, 1978, "Türk Tarih Kurumu Publication, XXIII series, no. 1", pp. 7-96. - Keklik N.: Türk-Islam Felsefesi Açisindan Felsefenin Ilkeleri. Ankara 1996, "Istanbul University Faculty of Literature Publication no. 3484". - Kürkçüoglu K.: Süleymaniye Vakfiyesi. Ankara, Vakiflar Umum Müdürlügü publication, 1962. - Littré, E.: Oeuvres Complétes d'Hippocrate, 1844. - Mukbilzâde Mü'min: Miftâhü'n Nur ve Hazâinü' s Sürûr. Süleymaniye/Hamidiye Library, no. 1034/4. - Murphey R.: "Osmanli Tibbi ve Kültürler Üstü Karakteri (Onaltinci yüzyildan onsekizinci yüzyila)". Osmanli Bilimi Arastirmalari II. (Ed. F. Günergun), Istanbul, 1998, "Istanbul University Publication no. 4111, Faculty of Literature Publication no. 3410", pp. 263-292. - Öner N.: Tanzimattan Sonra Türkiye'de Ilim ve Mantik Anlayisi, Ankara 1967, Ankara Üniversitesi Ilahiyat Fakültesi Publication. - Özel I.: Bilgi, Bilim ve Islam. "ISAV Tartismali Ilmi Toplantilar Series 5", Istanbul 1992. - Porter D.: "Constantinople and Its Environs in a Series of Letters (1831-1834)". I, New York: Harper and Brothers, 1835. - Russel G. A.: "Physicians At The Ottoman Court". Medical History, A Quarterly Journal Devoted to the History of Medicine and Related Sciences, vol. 34, no. 3, July 1990, pp. 243-267. - Russell G. A.: "Introduction To The Seventeenth Century: The Age of 'Arabick'", in The 'Arabick' Interest of the Natural Philosophers in Seventeenth-Century England. Edited by G. A. Russell. Leiden: E. J. Brill, 1994. - Sahillioglu H.: "1700 Yilinda Istanbul'da Muayenehane Açma Izni Olan Tabib ve Cerrahlar". Türk Dünyasi Tarih Dergisi, no. 136, Nisan 1998, pp. 10-14. - Sari N.: "Osmanlilarda Tiphanenin Kurulusuna Kadar Tip Egitimi". Türk Dünyasi Arastirmalari, no. 22, Subat 1983, pp. 152-182. - Sari N. - M.B. Zülfikar: "The Paracelsusian Influence on Ottoman Medicine in the Seventeenth and Eighteenth Centuries". Transfer of Modern Science and Technology to the Muslim World. Proceedings of the International Symposium on Modern Science and the Muslim World (Istanbul, 2-4 September 1987) Istanbul 1992, pp. 157-179. - Sari N.: "Osmanli Darüssifalarina Tayin Edilecek Görevlilerde Aranan Nitelikler". Yeni Tip Tarihi Arastirmalari I, Istanbul 1995, pp. 11-54. - Sari N.: "Türk Tip Tarihinde Hindiba Türleri, Etkileri ve Günümüz Arastiricilarina Öneriler (The Drug Hindiba)" Yeni Tip Tarihi Arastirmalari 4, Istanbul 1998, pp. 11-54. - Sari N. -B. Zülfikar: "Gevrekzâde Hafiz Hasan ve 'Zübdetü'l-Kuhliyye-fi Tesrihi'l-Basariyye." (B. Aydin ve M. Yildirim ile birlikte) III. Türk Tip Tarihi Kongresi (Istanbul, 20 -22 Eylül l993) Kongreye Sunulan Bildiriler. Türk Tarih Kurumu Basimevi. Ankara, 1999: 250 -256 (Levha: 14 -23). - Sari, N.: "Osmanli Hekimligi ve Tip Bilimi". Yeni Tip Tarihi Arastirmalari- The New History of Medicine Studies. No. 5, Istanbul, 1999, s. 11- 68. - Sari, N. : "Ethical Aspects of Ottoman Surgical Practice." Türkiye Klinikleri Tip Etigi Dergisi, Nisan 2000; 8 (1): 9 -14. - Sigerist H. E.: A History of Medicine, vol. I, 1987, Historical Library, Yale Medical Library Publication no. 27. - Özel I.: Bilgi, Bilim ve Islam I: ISAV Tartismali Ilmî Toplantilar series 5, Istanbul 1992. - Özaydin Z.: "Insan Üzerinde Etige Aykiri Deneyler ve Etik Kodlar". Sendrom, no. 10, Ekim 1997, pp. 102-107. - Taskiran N.: Haseki'nin Kitabi. Istanbul 1972. - Taskiran N.: "Osmanli Devletinin Ilk Zamanlarinda Baska Ülkelerden Çagirilan ve Kendiliginden Siginan Hekimlerin Durumu ve Türkiye'den Hekim Istenmesine Dair Bir Arsiv Belgesi." Haseki Tip Bülteni, vol. 13, no. 2, 1975. - Tekeli S., Kâhya E.: Bilim Tarihine Giris. Ankara 1999, "Nobel Publication, no. 104"
- Tunçman Z. M.: "Büyük Pasteur'ün Kuduz Asisi Bulusu Hakkinda." Istanbul Seririyati, no. 12, 1945. - Türker-Küyel M.: "Türklerde Felsefe Gelenegi". Türk Yurdu. vol. 44, no. 390, Nisan 1991. - Türker-Küyel M. T.: "Felsefenin Tarifinde ve Tarihinde Bir Kaynak Olarak Farabi (Al-Farabi As a Source of the History of Philosophy and of Its Definition." Erdem, vol. 6, no. 18, 1992. - Udeh A. (trans. R. Özcan-A. Safak): "Et-Tesriü'I-Cinâiyyü'l-Islâmî Mukarinen Bi'l Kanuni'l-Vaz'i." Mukayeseli Islâm Hukuku ve Beseri Hukuk (Notlar Ilaveli ve Türk Ceza Kanunu ile Karsilastirmali). vol. 2, Ankara 1990", Rehber publication no. 11, Temel Eserler series 1. - Uludag O. S.: Osmanli Sarayinin Yabanci Hekimleri. Yeni Türk, vol. 4, no. 38, Subat 1936, pp. 189-194. - Unat E. K. - Samasti M.: Mekteb-i Tibbiye-i Mülkiye. Istanbul 1990, Istanbul University Cerrahpasa Medical School publication. - Ural S.: Bilim Tarihi. Istanbul 1998, Kirkambar Publication no. 27. - Uzel R. H.: "Kanuni Süleyman Zamaninda Bir Tibbi Müsavere: Kaysunî-zâde ve Hamonoglu". Türk Tip Tarihi Arkivi, vol. 4, no. 15, 1940, pp. 103-105. - Uzluk F. N.: Fatih Sultan Mehmed Zehirlendi mi Eceli ile mi Öldü? Ankara Üniversitesi Tip Fakültesi publication, no. 150. - Ülken H. Z.: Bilim Felsefesi. Istanbul, 1983, "Ülken Publication no. 3." - Ülman I. Y.: "XIX. Yüzyil Sonunda Ali Sedad Bey'in Kavaid-i Tahavvülât Fî Harekâti'z-Zerrat Adli Kitabinda Ilmi Zihniyet Meselesi Hakkinda." Tip Tarihi Arastirmalari 3, Istanbul, 1989, pp. 108-115. - Ülman Y. I.: Journal de Constantinople'a Göre Mekteb-i Tibbiye-i Adliye-i Sahane'nin Galatasaray Dönemi, Istanbul University Health Sciences Institute, unpublished MSc thesis, Istanbul 1994. - Ülman Y. I.: "Mekteb-i Tibbiye-i Adliye-i Sahane'de Kloroformun Ilk Kez Kullanilmasi." Tarih ve Toplum, vol. 23, no. 138, Haziran 1995, pp. 24-26. - Ünver S.: "Ölümünün 50'inci Yilinda Doktor Hüseyin Remzi'nin, Üstadi Pastör'ün Kuduz Üzerine Çalismalari Hakkinda Hatiralari." Tibbiyeliler Bayrami, 14 Mart 1947, Istanbul 1947, Tib Talebe Cemiyeti publication, no. 12, pp. 6-12. - Ünver S.: Türkiye' de Çiçek Asisi ve Tarihi. Istanbul 1948. - Veatch R. M.: Case Studies In Medical Ethics. 1976, Harvard University Press. - Westfall R. S.: Modern Bilimin Olusumu The Construction of Modern Science (translated by I. H. Duru), Ankara 1987, V. Publication. - Yakit I.: Ihvan-i Safa Felsefesinde Bilgi Problemi. Istanbul 1985. Akademik Kitaplar Series 40. - Yildirim C.: Bilim Felsefesi. Istanbul 1979, Remzi Kitabevi Publication, Büyük Fikir Kitaplari Series 35.